The Babylonian civilization was at its peak roughly 4,000 years ago, with architecturally advanced cities throughout the region known today as Iraq. Babylonians were especially brilliant with math, and they invented the idea of zero as well as the base 60 number system we still use today to describe time (where there are 60 minutes in an hour). 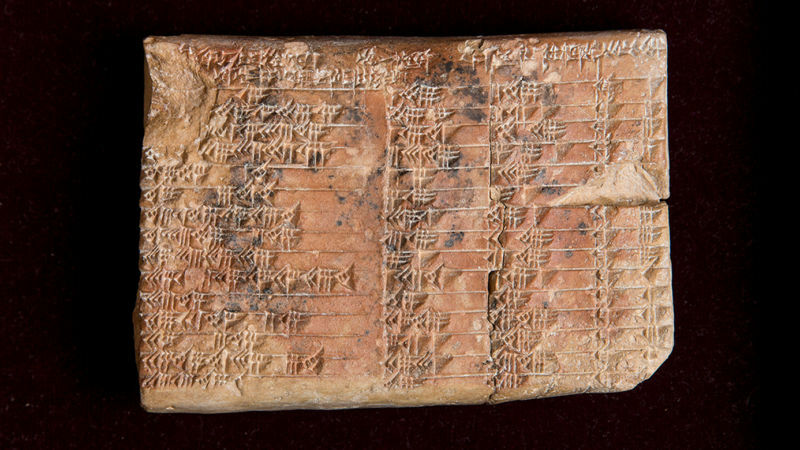 Now it appears that the Babylonians invented trigonometry, almost 1,000 years before Pythagoras was born. Mathematician Daniel Mansfield explains the Babylonian system for doing trigonometry. What made it hard for scholars to figure this out before was the complete unfamiliarity of the Babylonians’ trigonometric system. Today we use the Greek system, which describes triangles using angles that are derived from putting the triangle inside a circle. The Babylonians, however, used ratios of the line lengths of the triangle to figure out its shape. They did it by putting the triangle inside a rectangle and completely circumvented the ideas of sin, cos, and tan, which are key to trigonometry today.